The multisport versatility of the iconic R1® Pullover stems from its minimal design and Regulator® fabric with Polygiene® permanent odor control—a light and breathable fleece made from Polartec® Power Grid™ with outstanding stretch and durability. The finest mountain days merge elegance and efficiency. 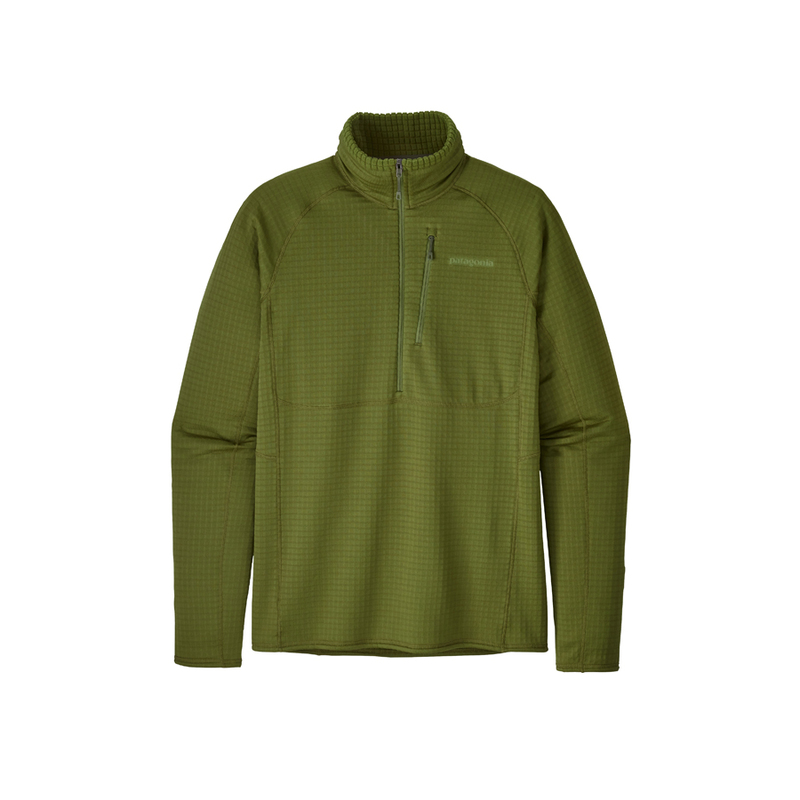 The R1® Pullover maintains a similar focus, with a high/low interior grid polyester/elastane fabric (Polartec® Power Grid™) that stretches, breathes, moves moisture and insulates—recently redesigned exclusively for Patagonia to be even lighter and more breathable. Its technical fit accommodates light underlayers or works as a stand-alone top, and it squashes down to practically nothing in your pack. Simple cuffs stay comfortable against the wrists; minimalist zippers reduce bulk; and a soft, kissing-welt zipper garage at the chin offers next-to-skin comfort. 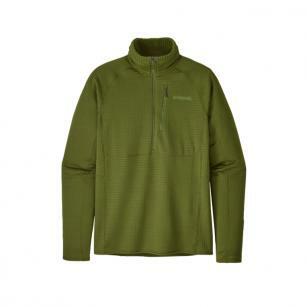 With a smooth, microfiber face for easy layering, offset shoulder seams for pack-wearing comfort, a zippered left-chest pocket and Polygiene® permanent odor control.